A Santa Monica apartment owner and his manager have just settled a lawsuit with the City Attorney’s Consumer Protection Unit over allegations the men harassed a tenant by failing to obtain an eviction order. Both the landlord and the manager will now be required to attend fair housing training and to end direct contact with a longtime tenant who complained of harassment throughout 2012. In addition to the training, the owner was ordered to pay $12,000.00 to the tenant and the City, including $5,000.00 ” the statutory damages provided by law ” for the alleged violations. Both men agreed to the judgment on the same day that the City filed a tenant harassment lawsuit against them. The landlord owns an 18-unit apartment building. The City filed suit against the two alleging that they attempted to get a senior citizen tenant to vacate her longtime rent-controlled apartment through a series of baseless eviction notices, lawsuits and threats. The tenant fought the eviction using both the Legal Aid Foundation and free legal services offered by a local law firm. The tenant, who has lived at the property for thirty-two years, forced the landlord to drop all three eviction lawsuits that had been filed against her. 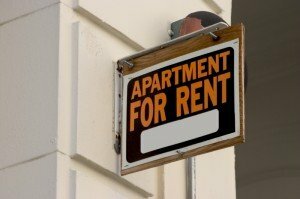 Santa Monica law prohibits landlords from inducing rent-controlled tenants to vacate their homes. The City accused the landlord of using intimidation to force the tenant out.